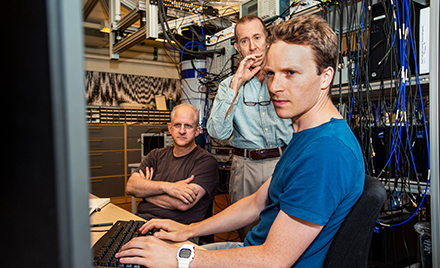 Today, with help from Microsoft security researchers, law enforcement agencies around the globe, in cooperation with Microsoft Digital Crimes Unit (DCU), announced the disruption of Gamarue, a widely distributed malware that has been used in networks of infected computers collectively called the Andromeda botnet. 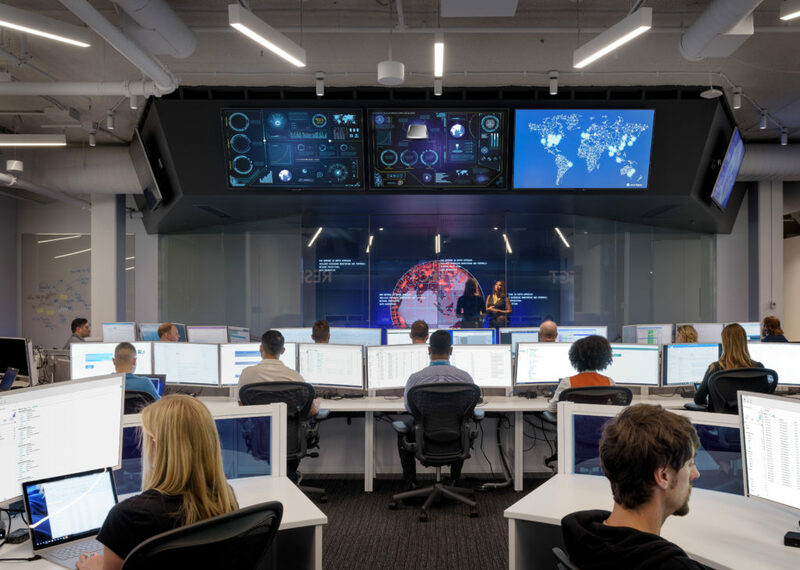 The disruption is the culmination of a journey that started in December 2015, when the Microsoft Windows Defender research team and DCU activated a Coordinated Malware Eradication (CME) campaign for Gamarue. In partnership with internet security firm ESET, we performed in-depth research into the Gamarue malware and its infrastructure. For the past six years, Gamarue has been a very active malware operation that, until the takedown, showed no signs of slowing down. Windows Defender telemetry in the last six months shows Gamarue’s global prevalence. While the threat is global, the list of top 10 countries with Gamarue encounters is dominated by Asian countries. In the last six months, Gamarue was detected or blocked on approximately 1,095,457 machines every month on average. Gamarue is known in the underground cybercrime market as Andromeda bot. A bot is a program that allows an attacker to take control of an infected machine. Like many other bots, Gamarue is advertised as a crime kit that hackers can purchase. A botnet is a network of infected machines that communicate with command-and-control (C&C) servers, which are computer servers used by the hacker to control infected machines. The evolution of the Gamarue bot has been the subject of many thorough analyses by security researchers. At the time of takedown, there were five known active Gamarue versions: 2.06, 2.07, 2.08, 2.09, and 2.10. The latest and the most active is version 2.10. Once Gamarue has infected a machine, it contacts the C&C server, making the machine part of the botnet. Through the C&C server, the hacker can control Gamarue-infected machines, steal information, or issue commands to download additional malware modules. The installation of other malware broadens the scale of what hackers can do with the network of infected machines. Before sending to the C&C server, this information is encrypted with RC4 algorithm using a key hardcoded in the Gamarue malware body. Once the C&C server receives the message, it sends a command that is pre-assigned by the hacker in the control dashboard. The last three commands can be used to remove evidence of Gamarue presence in machines. The reply from the C&C server is also encrypted with RC4 algorithm using the same key used to encrypt the message from the infected machine. Download URL – from which a plugin/updated binary/other malware can be downloaded depending on the command. Gamarue employs anti-AV techniques to make analysis and detection difficult. Prior to infecting a machine, Gamarue checks a list hashes of the processes running on a potential victim’s machine. If it finds a process that may be associated with malware analysis tools, such as virtual machines or sandbox tools, Gamarue does not infect the machine. In older versions, a fake payload is manifested when running in a virtual machine. It can also use a rootkit plugin to hide the Gamarue file and its autostart registry entry. Gamarue employs a stealthy technique to store and load its plugins as well. The plugins are stored fileless, either saved in the registry or in an alternate data stream of the Gamarue file. There are several ways hackers earn using Gamarue. Since Gamarue’s main purpose is to distribute other malware, hackers earn using pay-per-install scheme. Using its plugins, Gamarue can also steal user information; stolen information can be sold to other hackers in cybercriminal underground markets. Access to Gamarue-infected machines can also be sold, rented, leased, or swapped by one criminal group to another. Be cautious when opening emails or social media messages from unknown users. Be wary about downloading software from websites other than the program developers. More importantly, ensure you have the right security solutions that can protect your machine from Gamarue and other threats. Windows Defender Antivirus detects and removes the Gamarue malware. With advanced machine learning models, as well as generic and heuristic techniques, Windows Defender AV detects new as well as never-before-seen malware in real-time via the cloud protection service. Alternatively, standalone tools, such as Microsoft Safety Scanner and the Malicious Software Removal Tool (MSRT), can also detect and remove Gamarue. 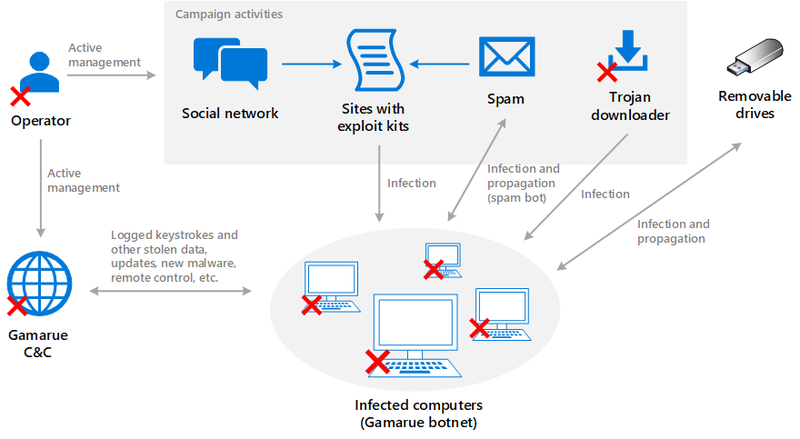 Microsoft Edge can block Gamarue infections from the web, such as those from malicious links in social media messages and drive-by downloads or exploit kits. Microsoft Edge is a secure browser that opens pages within low privilege app containers and uses reputation-based blocking of malicious downloads. 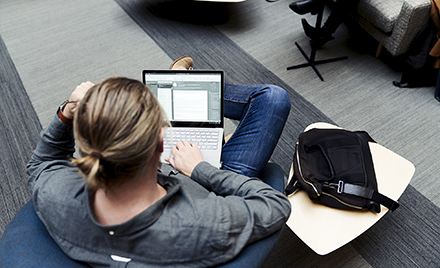 In enterprise environments, additional layers of protection are available. 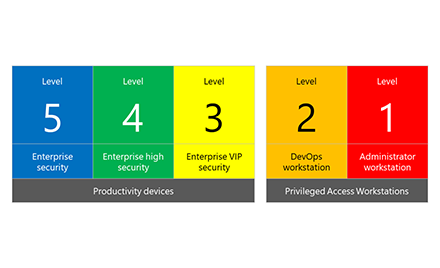 Windows Defender Advanced Threat Protection can help security operations personnel to detect Gamarue activities, including cross-process injection techniques, in the network so they can investigate and respond to attacks. Windows Defender ATP’s enhanced behavioral and machine learning detection libraries flag malicious behavior across the malware infection process, from delivery and installation, to persistence mechanisms, and command-and-control communication. Microsoft Exchange Online Protection (EOP) can block Gamarue infections from email uses built-in anti-spam filtering capabilities that help protect Office 365 customers. Office 365 Advanced Threat Protection helps secure mailboxes against email attacks by blocking emails with unsafe attachments, malicious links, and linked-to files leveraging time-of-click protection. Windows Defender Exploit Guard can block malicious documents (such as those that distribute Gamarue) and scripts. The Attack Surface Reduction (ASR) feature in Windows Defender Exploit Guard uses a set of built-in intelligence that can block malicious behaviors observed in malicious documents. ASR rules can also be turned on to block malicious attachments from being run or launched from Microsoft Outlook or webmail (such as Gmail, Hotmail, or Yahoo). Microsoft is also continuing the collaborative effort to help clean Gamarue-infected computers by providing a one-time package with samples (through the Virus Information Alliance) to help organizations protect their customers.